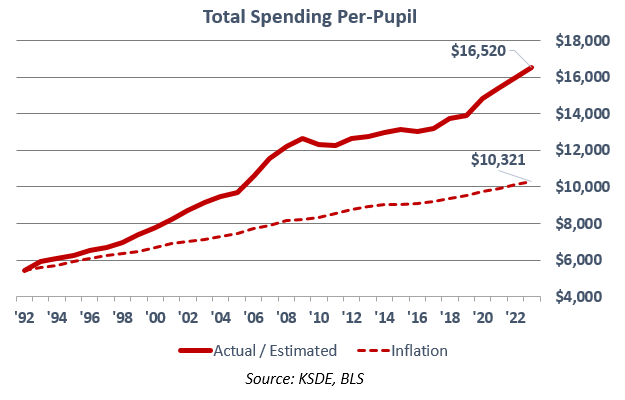 The calculation is produced by Kansas Legislative Research Department (KLRD) and presents an honest long term picture of the tax revenue needed to pay for the increased school funding. 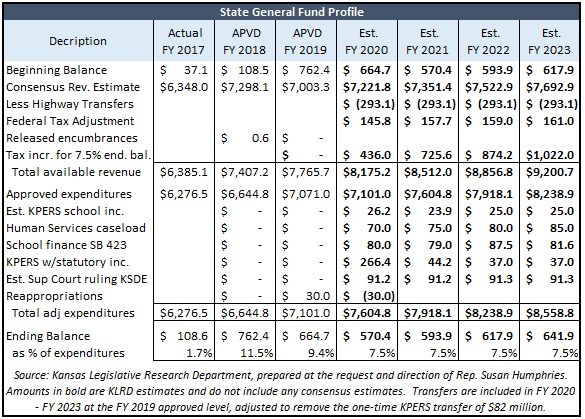 It’s based on having a legally-required ending balance[i] without transfers from the highway fund and making all scheduled KPERS pension payments through FY 2023. 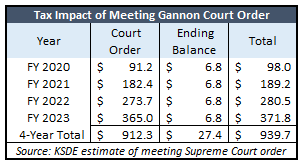 The only spending increases included are those related to approved school funding, the Department of Education’s (KSDE) calculation of complying with the latest Supreme Court ruling and KLRD’s case load estimate for existing Medicaid coverage. About $624 million of the tax increase is already in place, noted as ‘Federal Tax Adjustment’ in the above table. 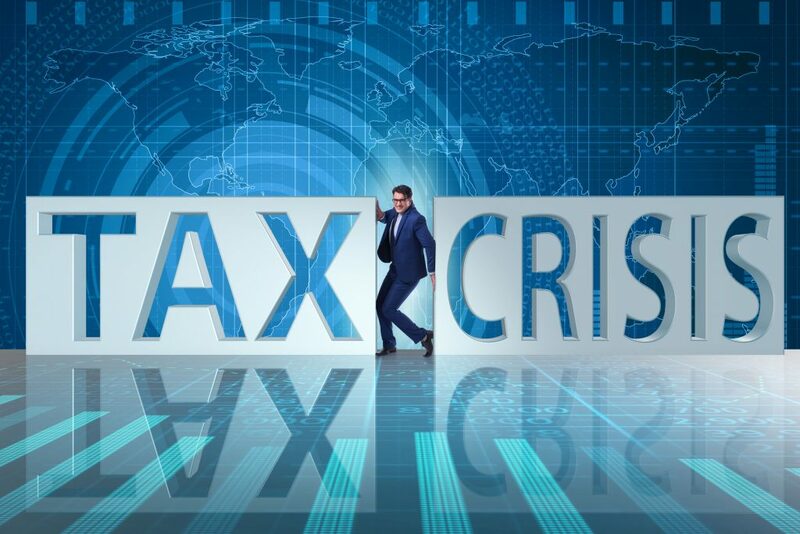 Federal tax reform eliminates personal exemptions, caps itemized deductions for some people and imposes higher taxes on many businesses. The Kansas Senate voted to prevent this backdoor state income tax hike but too many House members wanted more money to spend. To top it off, another $27.4 million is needed to meet the higher ending balance requirement (7.5 percent of the new money added each year), bringing the total tax revenue needed over four years to $939.7 million. Those claiming school funding can be massively increased without raising taxes either don’t want you to know the implications for highways, social services and higher education, or they’re afraid to tell the truth about tax increases. Because, you know, getting elected is what really matters.